We’re passionate about empowering your sales force in a brand new way. We’re redefining sales optimization with our cloud-based solution that’s built specifically for manufacturing and distribution companies. We dedicate ourselves to our customers, provide an effective implementation experience and maintain an on-going focus on customer success. We provide a focused sales process and simplified product configuration. We develop software in a consistent and scalable manner so our customers have access to cutting-edge technology. "It had to be done"
Atlatl (Aht-laht-l ) has a powerful and significant founding story. 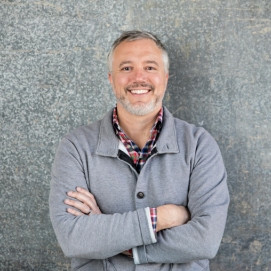 My favorite founder quote is from Success Factor’s Lars Dalgaard who passionately responded when asked why he created his company, “it absolutely had to be done.” I believe Atlatl’s founder also felt this way when he developed the software to accelerate and empower sales at his manufacturing business…. it had to be done. 1) An efficient way to train thousands of sales professionals so that they could configure engineered products to meet their customer’s needs. 2) A fast, cost-effective and automated way to provide engineering drawings at the quoting stage of the sales process. 3) A greater visibility into the quoting funnel and engagement level of their channel partners so they can measure the immediate ROI from their marketing activities. After an exhaustive search for a solution from the integrated software markets including CRM and product configurators, nothing met the real demands of the sales force. The extremely technical product configurators and clunky CRM systems gained little adoption by the people they were intended to benefit... the sales force. The team was forced to create a tool themselves that the sales force would actually use in order to sell faster, more accurately and more efficiently. Atlatl Software was born. Since day one, adoption of the software has never been an issue. Sales professionals are our main users and sales executives are our advocates because we increase productivity across manufacturing companies of all sizes. We’ve noticed that sales teams aren’t required to use the product, but they use it because it helps them do what’s most important to their organizations… close deals. For our customers, it has increased sales and accelerated the entire sales process, which ultimately reduces their costs and elevates the bottom line. This story not only supports our absolute confidence in our product-market fit, it also resonates with our customers who are facing the same challenges we originally encountered. The Atlatl team loves hearing from new customers and demonstrating ways our software can help transform your business. It has to be done. It’s a priority to ensure that our clients have all the tools they need. Through the Unity platform we deliver an immersive 3D experience unlike any other application. Their engine offers rapid development for various platforms with realistic and detailed graphics which, in other words, means we stay on the cutting edge of 3D technology. We leverage the power and convenience of the iTunes App Store for distributing our apps to iOS devices. Using the App Store, users can download, update and sync their Atlatl apps across all of their devices. Google empowers us to map customer information and generate location coordinates so that you can easily interact with your nearby leads/customers. With Google’s help we can also autocomplete company information and, in turn, save sales reps a lot of time. We build our product using Amazon Web Services, an industry-leading cloud computing platform designed for performance, reliability and security. The AWS platform enables us to scale and adapt to customer demands in real time, translating to solid performance. With Onshape we can transfer data to their platform, ensuring engineered parts are sized, oriented and connected in the same fashion as the configurations you design in our 3D apps. This facilitates engineering review and subsequent manufacturing of the quoted configuration. Through the Unity platform we deliver an immersive 3D experience unlike any other application.Their engine offers rapid development for various platforms with realistic and detailed graphics which, in other words, means we stay on the cutting edge of 3D technology.